Synergy-net - Snowmen goes intercultural! Home European projects in realisation 34. Snowmen goes intercultural! Snowmen goes intercultural! 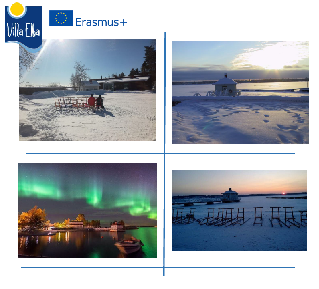 The youth exchange approved under the Erasmus Plus KA1 program will take place during the period 24/02 / 2019-02 / 03/2019 in Kokkola in Finland. 7 young people (between 13 and 16 years) + 1 leader (without age limit) will take part from Italy. More information on the exchange is in the attached file.